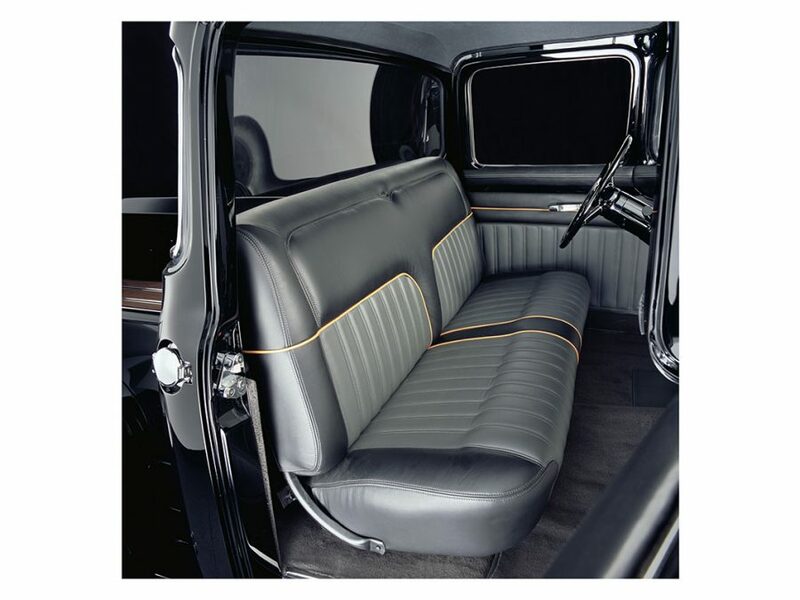 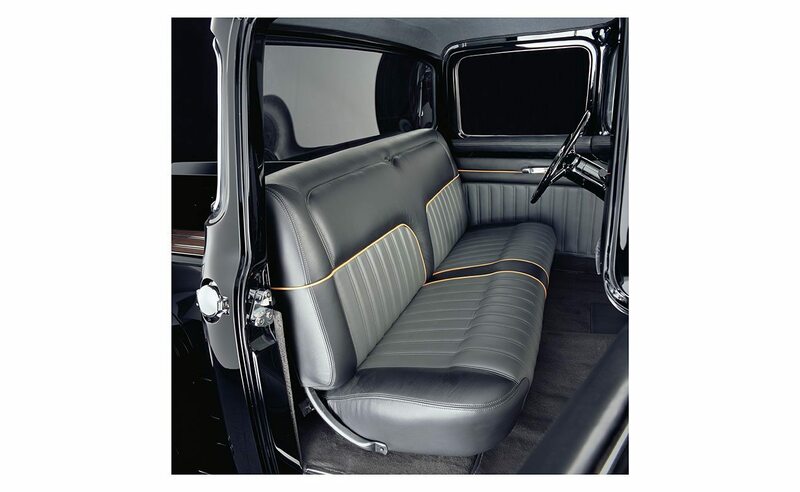 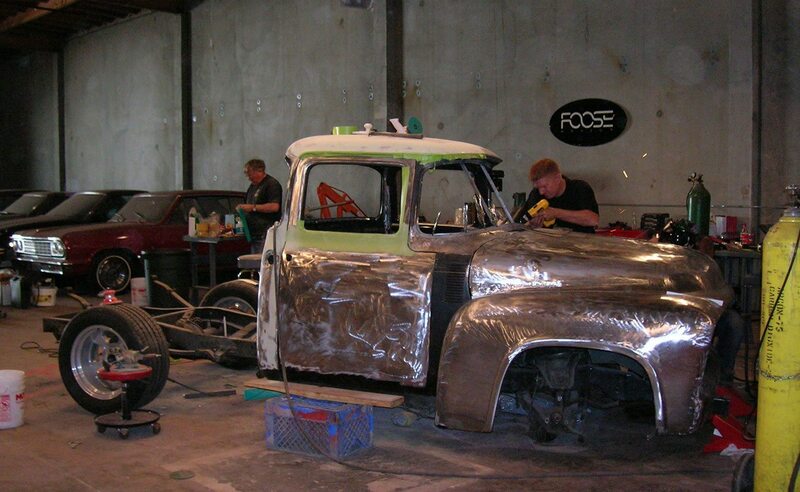 Chip's 56 F-100 - Chip Foose - Official Home of Foose Design, Inc.
Chip Foose’s personal 1956 Ford F-100 is more than a truck, it’s a member of the family. 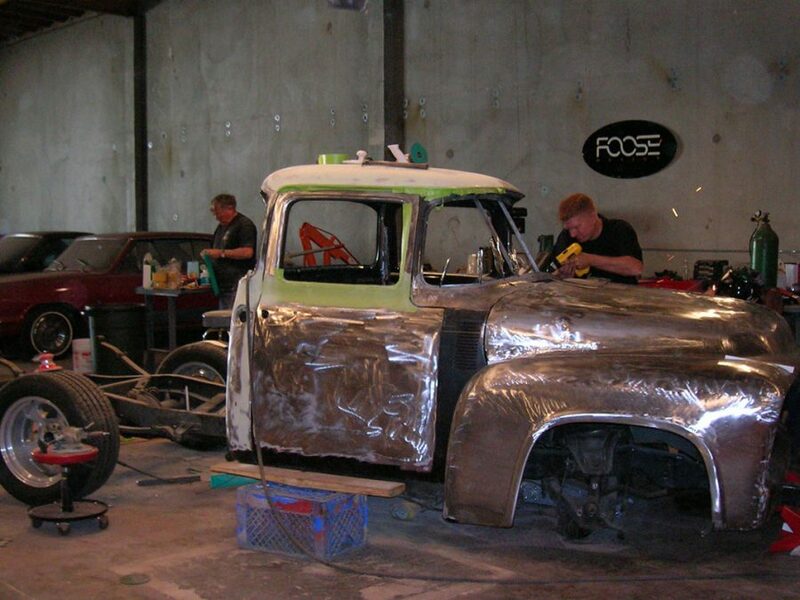 Originally his father Sam’s shop truck, Chip bought the vehicle at the age of 13. 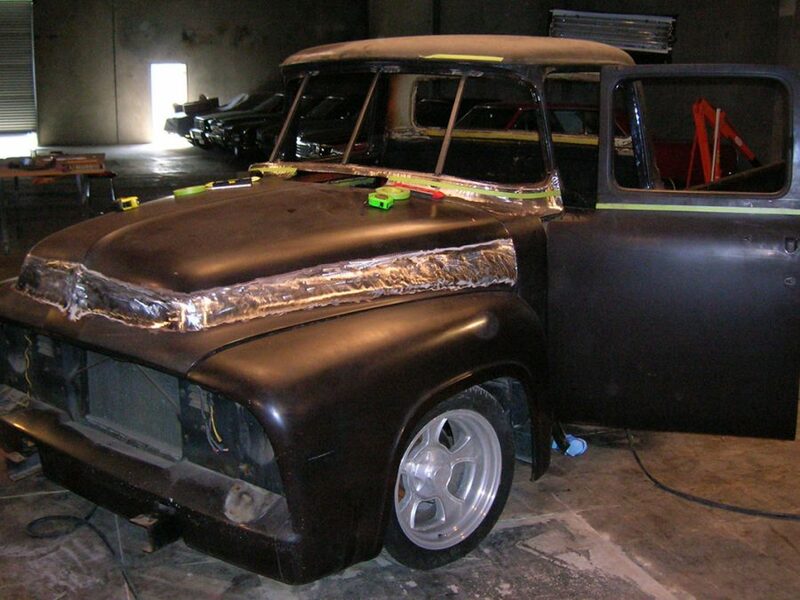 He spent the next 3 years rebuilding and restyling the pickup, settling on a root beer brown paint color. 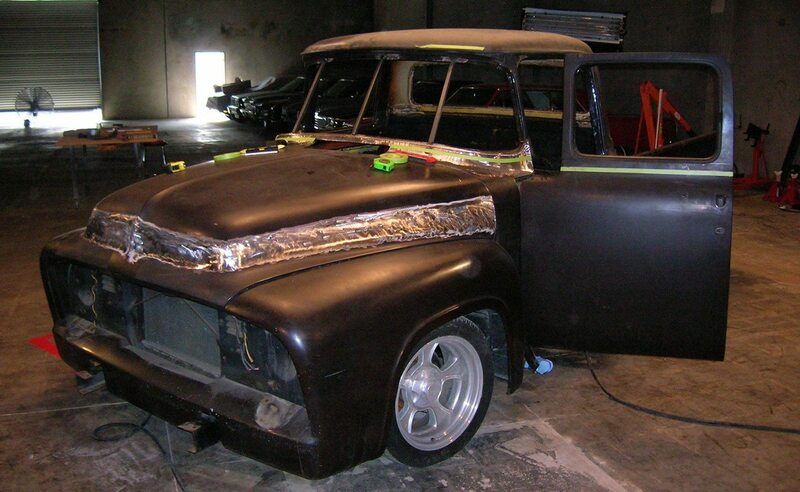 It became his daily driver throughout high school and his early college years. 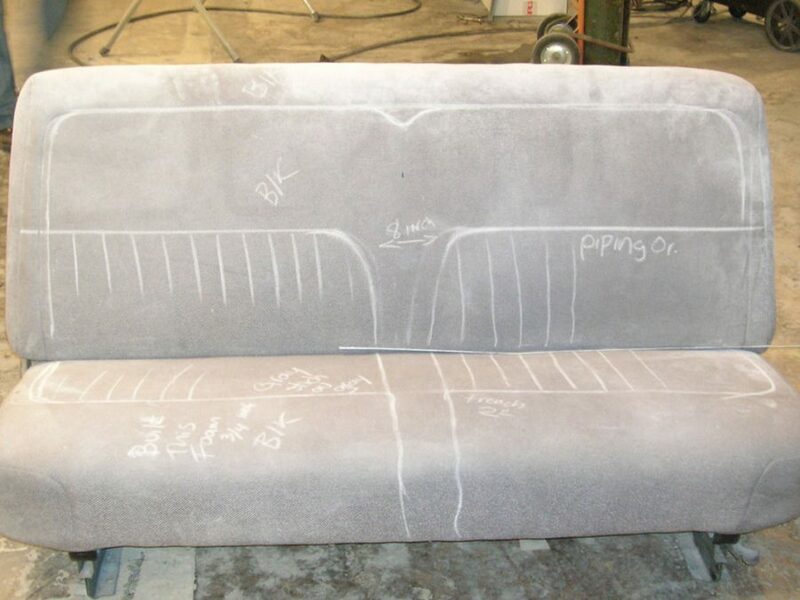 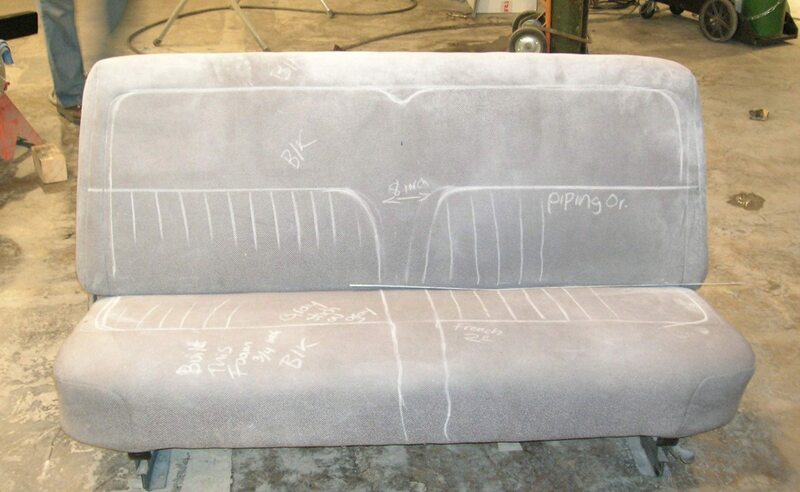 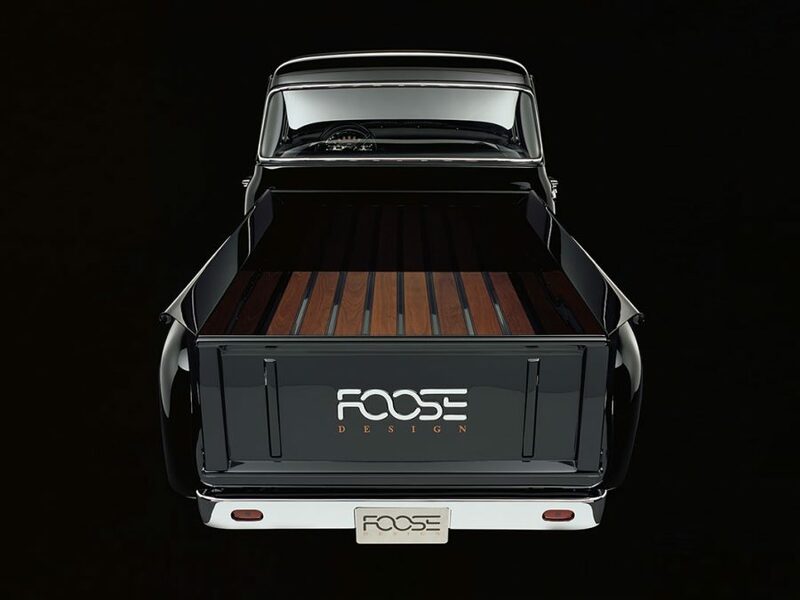 After years of use and storage, the vehicle eventually made its way to the front lot of the Foose Design shop where it sat for a few years. 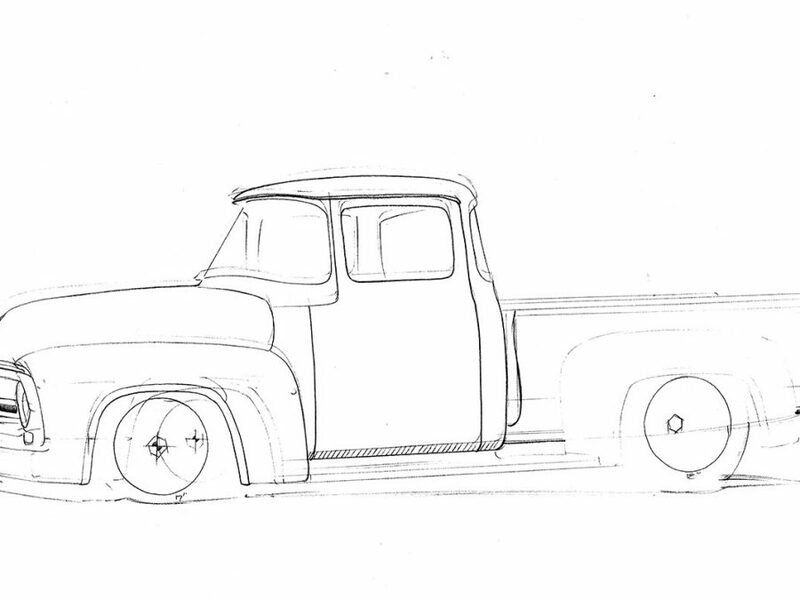 But the truck was never out of Chip’s thoughts. 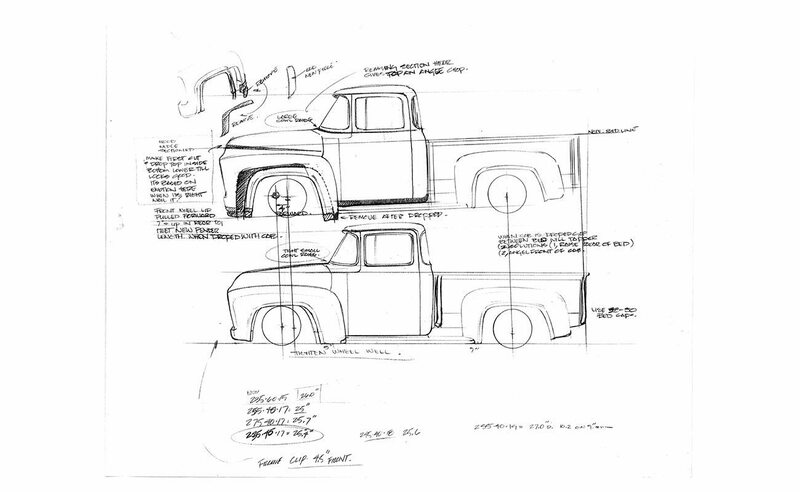 He drew sketches and concepts of how he would like to customize to the vehicle, if his hectic schedule ever afforded him the time. 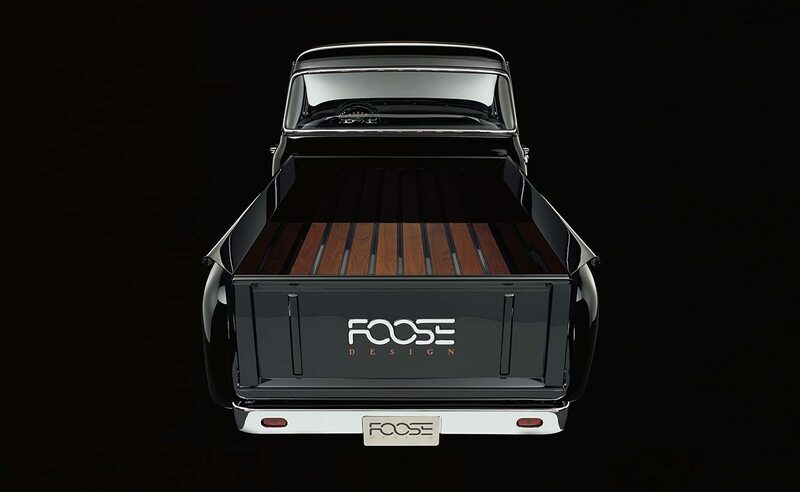 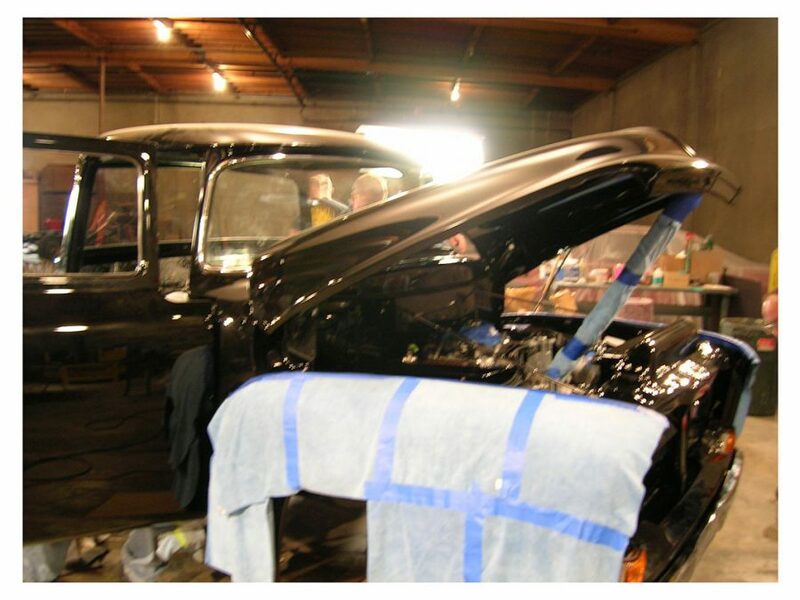 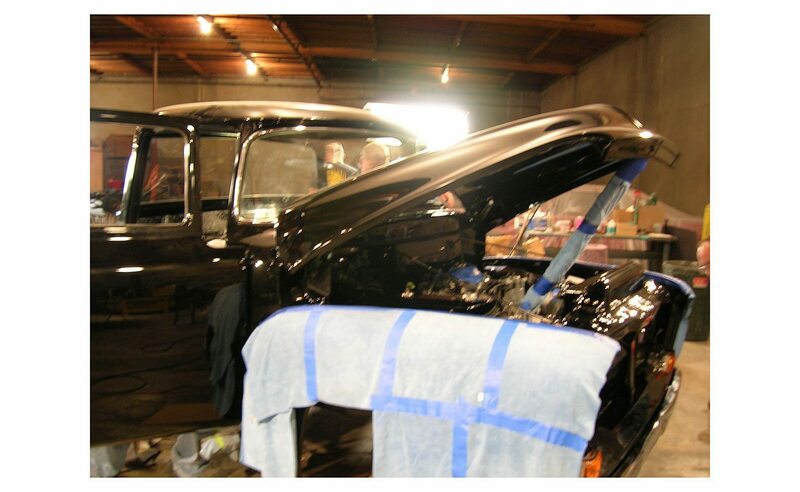 In 2005, as part of the show Overhaulin’, which featured Chip as co-host and lead designer, the truck was “stolen” from the Foose Design lot. 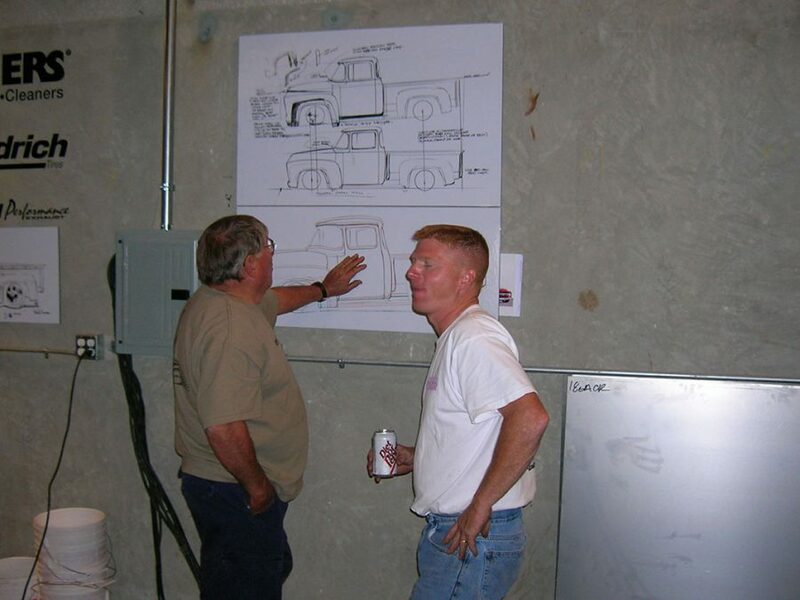 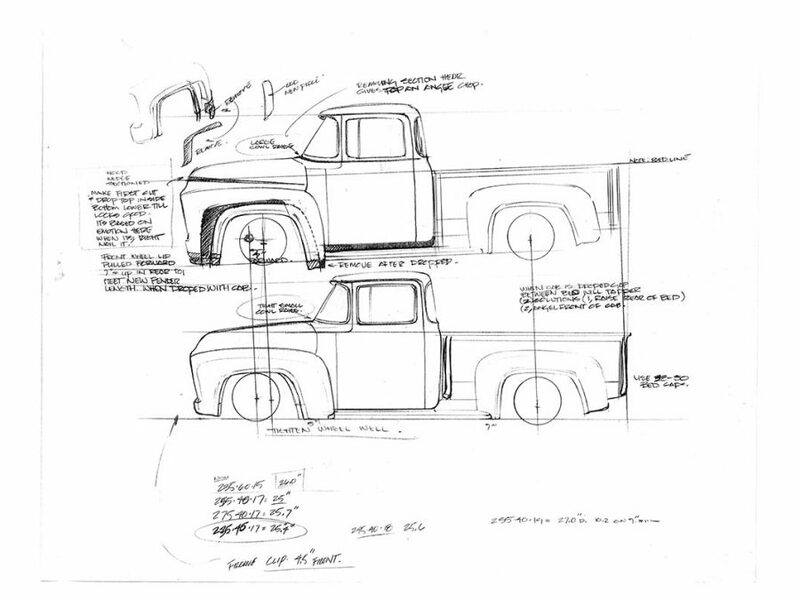 Unbeknownst to Chip, his dad Sam led a team of builders and designers in reforming the ’56 into the truck it is today. 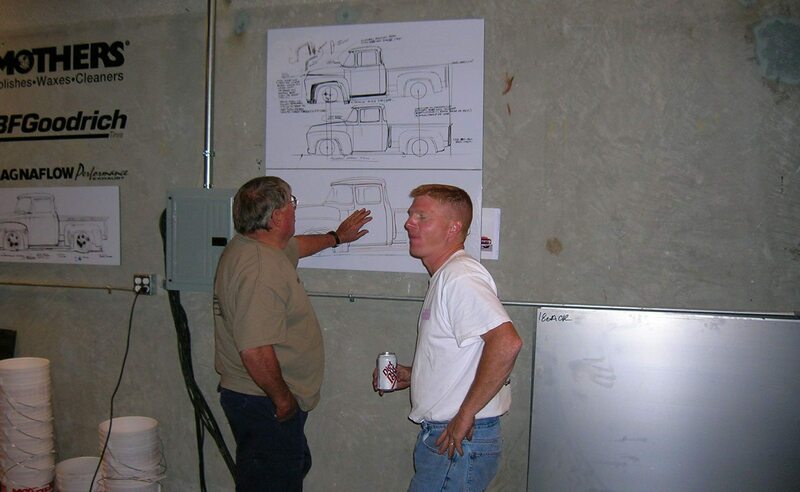 They were able to use Chip’s drawings as their design template. 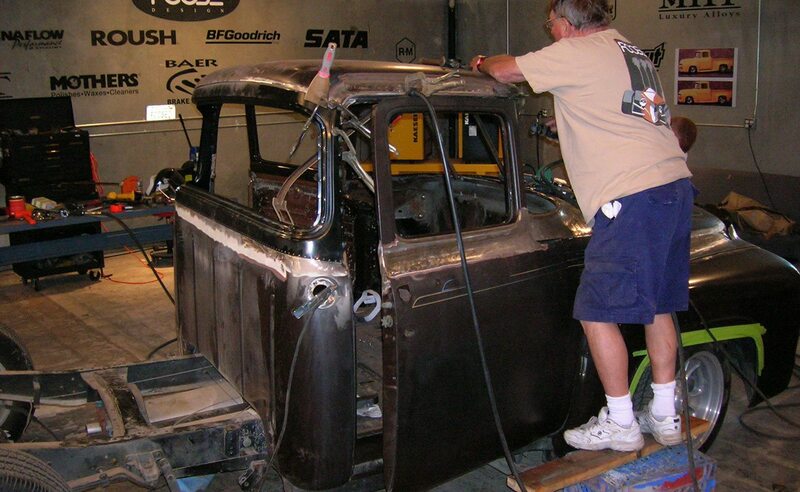 Nearly every panel was reshaped, reformed or cut. 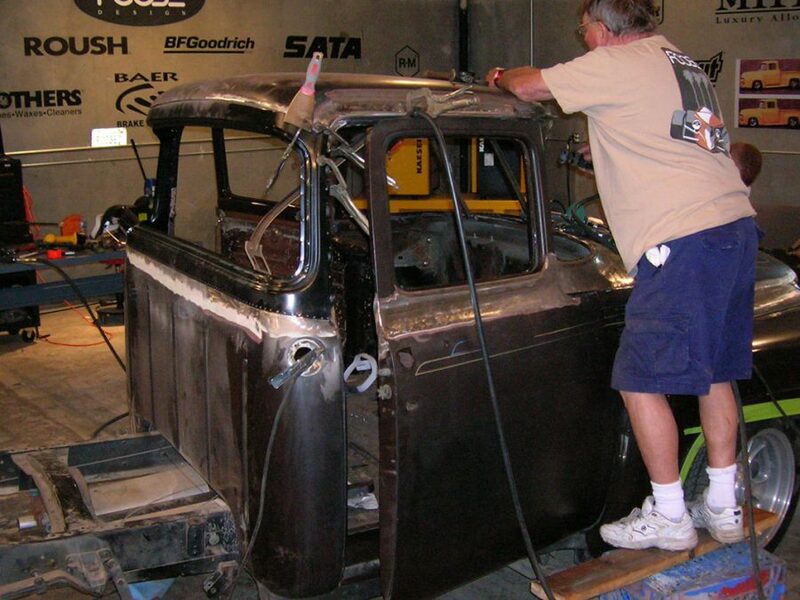 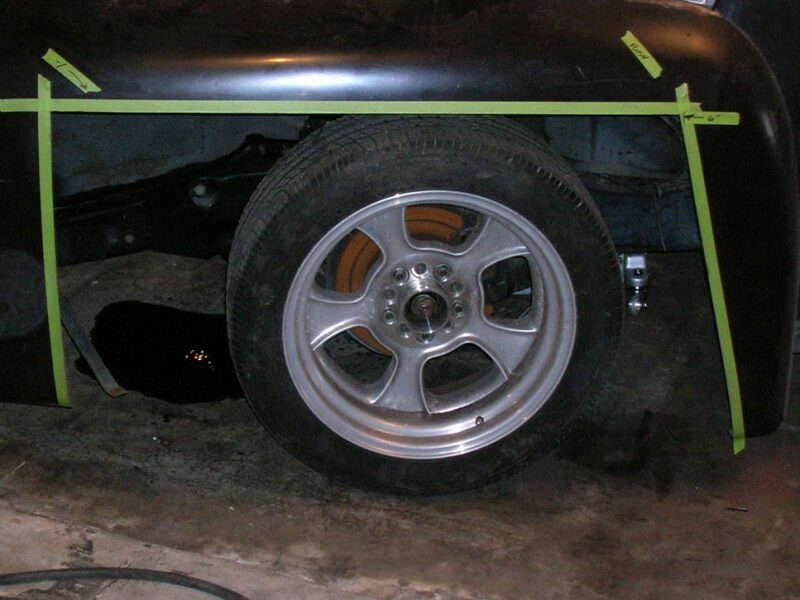 The cowl was sectioned, the hood was pie-cut, the front wheels were moved forward, the rear fenders were widened and raised up, the cab was section cut 3 inches at the rear window and the front fender wheel opening was moved up. 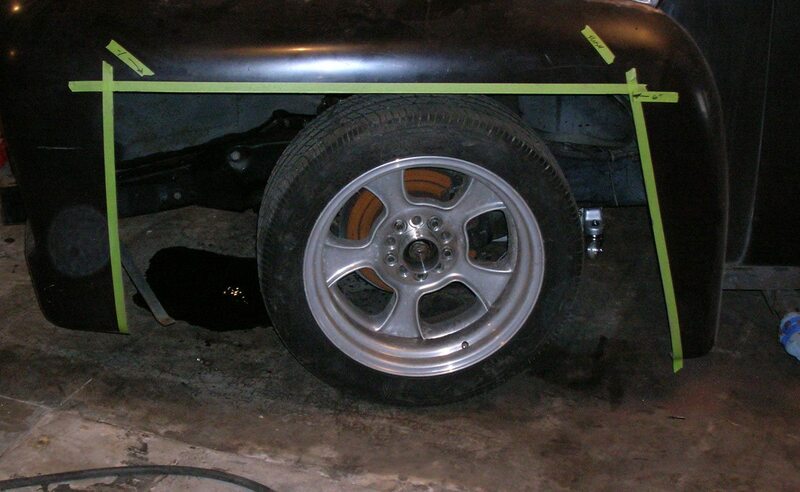 A Roush NASCAR racing motor, serial number 1, was installed and one-off wheels were cut. 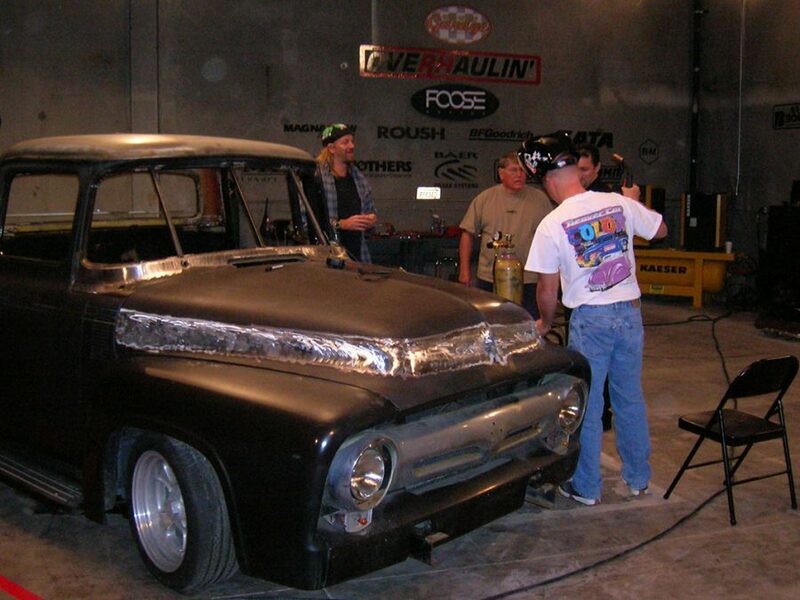 When the completed truck was unveiled at the 2005 SEMA show in Las Vegas by Jack Roush, Chip’s emotions overwhelmed him. 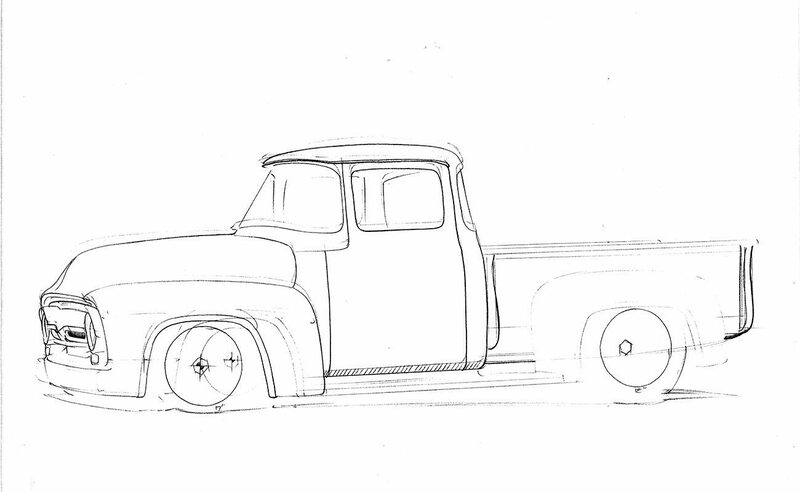 The Ford is again one of Chip’s daily drivers and he looks forward to the day when his son Brock will inherit this family heirloom.